 How do I invite my team members to Loom via Slack? We made it easy for the rest of your team to record quick videos too! 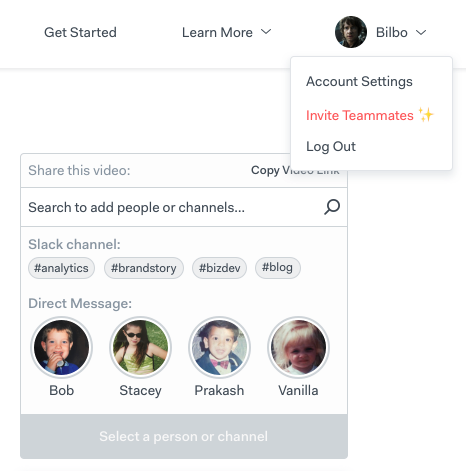 After connecting your Slack account to your Loom profile, you can start sharing videos directly with your team on Slack. We've made it easy to know the names of who on your team is watching your videos. 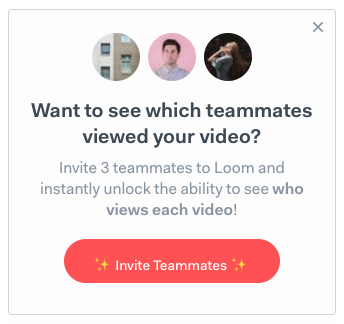 Start inviting your teammates and unlock the ability to see who's watched your videos after 3 team mates sign up to Loom. As long as your team mates also have a Loom account, you will be able to see who watches your videos. This way to invite your Slack teammates to Loom is always available and accessible via the main navigation. 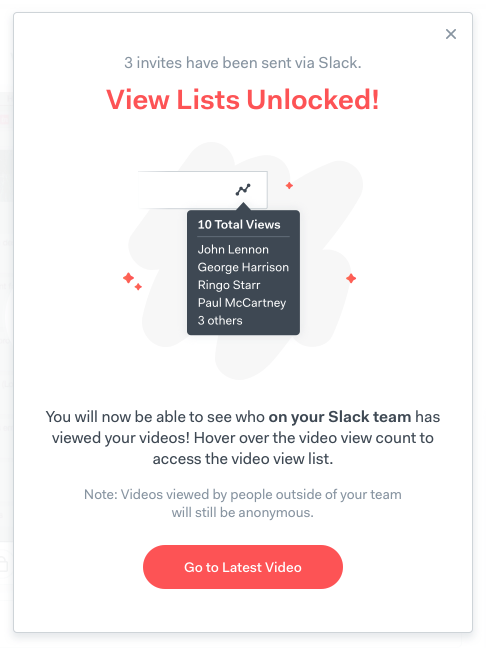 This way to invite your Slack teammates to Loom is only available until you invite 3 teammates and unlock the ability to see who views each video. Once you've unlocked the ability to see who is watching your video, you'll receive the following confirmation and will be able to see the names of the team mates watching your videos.